Bitcoin is used as digital money that is transacted online, designed for the purpose of exchanging digital information securely via a process known as cryptography. The digital transactions take place directly between buyer and seller and are recorded in a distributed ledger called a blockchain. Blockchain transactions are fast, secure and global, and are actioned immediately within a secure environment, are confirmed within minutes, and is processed via a global network of tens of thousands of computers. Meaning it is decentralised and not reliant upon a single central source or middleman to confirm or approve the transaction. When used as a medium of exchange this blockchain technology, gives you ultimate control over your money. Your transactions are safer and very secure and are immune from any government manipulation, influence or confiscation. So, you will be able to pay and receive money anywhere in the world at any given time. Without the unnecessary costs of traditional monetary transactions nor the suspicious, prying eyes of the government and its agencies. If you are a seller, these transactions have the advantage of being impossible to track or to be reversed. Unlike your normal everyday currency which is subjected to arbitrary governmental regulations, capital controls and transfer rules and currency exchange requirements. – It’s YOUR money! What this means is that these transactions, due to its decentralised nature don’t need validation or oversight from banks or the government, to work. What’s more the transactions are totally secure against hacking due to it’s decentralised network which keeps a consensus on balances and transactions. Giving you back control over your accounts and your financial affairs. Something that governments have steadily taken a way from you over the years. Bitcoin is far more valuable, than any paper currency, as central banks around the world have been steadily destroying their currencies through inflation. They have also cut interest rates to almost zero and in some cases, even dropping rates below zero. Yet these radical measures which were supposed to “stimulate” the economy, hasn’t worked. Instead, all these central bankers have done is hurt everyday people that have money in their accounts, cash in their wallets or money invested in retirement accounts. “A few dollars invested in Bitcoin would have grown by more than 10,000% a year”. Understand that inflation is solely the work of government, as governments control the creation of all paper money. Just since the last financial crisis, they have created trillions of new currency units, out of thin air. But this is not an isolated incident, its been going on for a long time. Just look at this chart of the US dollar. It’s lost 97% of its value since 1913. Keep in mind that the U.S dollar does has some ‘value’ as it’s still the world’s reserve currency. Whereas places like, Venezuela, Zimbabwe, and most of the Third World countries, their currencies are almost worthless, by comparison. 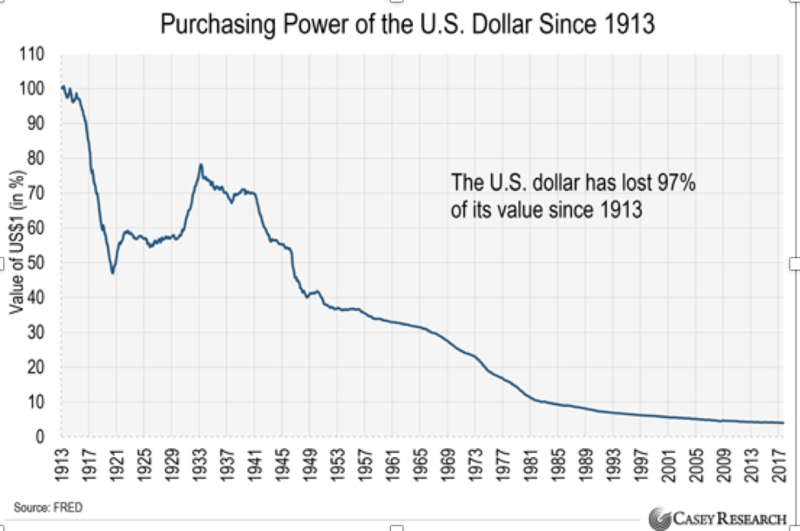 But there was a time when the US dollar was a much more valuable currency than it is today. After World War 2, the US had the largest gold reserves in the world and as a result of winning the war, it was able to reconstruct the global monetary system around the US dollar. The new system, created at the Bretton Woods Conference in 1944, tied the currencies of almost every country in the world to the US dollar, through a fixed exchange rate. The US dollar was then tied to gold, at the fixed rate of US$ 35 an ounce. The Bretton Woods system made the US dollar the world’s premier reserve currency. It effectively forced other countries to hold dollars for international trade, or to trade with the US to get dollars. America’s march towards socialism began many years ago, even before FDR. But it was President Lyndon Johnson, who stepped into power after the assignation of Kennedy, that was an admirer of FDR and who was determined to revive and complete what he believed should have been integral parts to FDR’s socialistic New Deal. 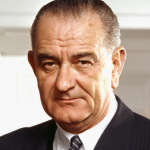 Johnson, called his program, The Great Society and as a part of this ‘Great Society’ Johnson greatly expanded the federal government’s roles (and increased spending) in education, welfare and health care. He initiated the War on Poverty, a policy initiative that remains in existence today that wastes Billions of dollars anually. Socialism always promises heaven but creates economic hell. The lesson from socialist failure around the world (just like communism), is that when a system based on lies and ignores the most basic principles of economics, it destroys even the richest country. In the end, the socialist promise of free money, is very expensive for all. It was the same in Germany during the Weimar hyperinflation (1923). Prices went wild as the money became worthless. The economy shrinks and you might have a billion marks in your pocket, but you were not able to find much to buy with it. Look at Argentina in 2001, or Zimbabwe in 2006, or the recent events in Venezuela as an example of another economic disaster zone. As an OPEC country, it’s not the low price of oil that has created hyperinflation, depression and disaster, rather its two decades of socialism. But unlike the US, Venezuela and other countries, could not export their inflation. By the late 1960s, excessive spending on warfare and welfare programs necessitated that the US government print more dollars than it could back with its gold reserves. As the sheer number of dollars circulating drastically increased, this prompted foreign countries to exchange their dollar holdings, for physical gold. This lead to a seriously negative drain on the US gold reserves. To plug the drain the next President (after Johnson) was Nixon, who in 1971, instead of reducing spending and balancing the Federal budget. He ‘temporarily‘ suspended the dollar’s convertibility into gold, which effectively ended the Bretton Woods system and severed the dollar’s tie to gold. The “temporary” suspension is still in effect today. The death of the Bretton Woods system had profound geopolitical consequences. Most critically, it eliminated the main reason foreign countries needed to hold US dollars, or to use dollars for international trade. Oil-producing countries began to demand payment in gold instead of rapidly depreciating US dollars. The US dollars’ day as the world’s premier reserve currency looked set to end and the consequence of billions of surplus dollars coming back to America was going to create economic mayhem and finally expose the folly of socialistic economics. However, President Nixon and Secretary of State, Henry Kissinger, to their credit, concocted a scheme that was a geopolitical and financial masterstroke, (in fact pure genius) that gave foreign countries a compelling reason to continue to hold and use the US dollar. From 1972 to 1974, the US government made a series of agreements with Saudi Arabia that created a new financial order that would greatly benefit the US and save the US dollar. They picked Saudi Arabia because of the kingdom’s vast petroleum reserves and its dominant position in OPEC and because the Saudi royal family was (and still is) easily corruptible. 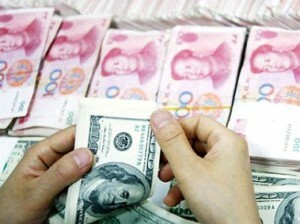 The new arrangement would preserve the dollar’s special status as the world’s top reserve currency. It was a paradigm shift in how the international financial system would see the value of the US dollar even though it was no longer backed by gold. “This is also why Nixon went to China, to open another market for the US dollar”. The new financial arrangement was dubbed the ‘Petrodollar System’ which in essence was an agreement that the US Government would protect and guarantee the Saudi Royal families survival. Use its dominant position in OPEC to ensure that all oil purchases were to be solely in US dollars. Recycle those billions of US dollars, from oil revenue into US Treasuries, American weapons manufacturers and infrastructure companies. Use the US banking system in New York for it’s oil transactions. Every country needs oil and if countries needed US dollars to buy oil, they have a very compelling reason to hold US dollars in reserve. Think about this… If a country wants to buy oil, it has to purchase US dollars on the foreign exchange market to pay for the oil. This creates a huge artificial market for the US dollar. If foreign countries are using dollars for oil, it’s also easy to use dollars for other international trades. The dollar is just a middleman, but it’s used in countless transactions amounting to trillions of dollars that have nothing to do with US products or services. So in addition to oil sales, the US dollar is used for about 80% of all international transactions. It was a financial masterstroke because the petrodollar system is the reason why people and businesses everywhere take US dollars. Ultimately, the petrodollar boosted the US dollar’s purchasing power. It forced foreign governments into taking up many of the new money units the US Government created. Shifting the inflationary effects of excessive printing to other countries. This also gives the US unmatched political leverage and geopolitical power. The US can sanction or exclude virtually any country from the US dollar-based financial system, which means it can also cut off any country from the vast majority of international trade. Today, the biggest US exports are dollars and government debt. The US government can create unlimited quantities of both from nothing. The petrodollar system helps create a liquid market for the dollar and for US Treasuries. The US can issue debt and also finance previously unimaginable budget deficits. It also allowed the US government to spend large amounts on welfare benefits for over half of its population. And to finance the world’s largest military, which is bigger than the next seven largest militaries in the world put together. The petrodollar has given Americans a much higher standard of living than they would have had otherwise allowing them to exchange petrodollars for real things like French wine, Italian cars, electronics from Korea, or Chinese manufactured goods. 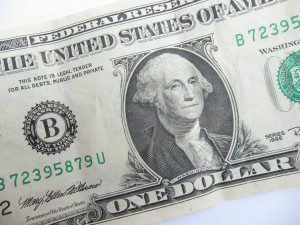 The world’s need for US dollars has allowed the United States government as well as Americans to borrow at lower costs, granting them an advantage in excess of $100 billion of free money per year. It’s the reason why the US government could finance enormous and permanent deficits without destroying its currency through massive money printing and inflationary monetary polices. The US government could never have become as powerful as it did without the petrodollar. It’s hard to overstate how much the petrodollar system has benefitted the US. It’s been the bedrock of the US financial system for the last fifty years. It is also the bases from which governs all US foreign policy and intervention in other countries affairs and why there are wars in the Middle East. It’s also the reason why the US political elite pamper to the Saudis. “Which is why every American President makes a pilgrimage to Saudi Arabia? But this is all about to change, the US dollar’s dominant position as a global reserve is being challenged because of the growing excesses of US dollar monetary units. Much of the global financial crisis is to do with too much credit and not enough cash. By cash I mean income production, not the printing of physical money. Printing more money doesn’t make you wealthier. The Europeans have tried to emulate the US dollar with the creation of the euro which entered into circulation on 1 January 2002 and is used by 19 of the 28 member states in the eurozone in an effort to also export the inflationary effects of printing money. But to less effect, and it’s the reason why there is now a financial crisis in Europe. Also a report released by the United Nations Conference on Trade and Development in 2010, called for abandoning the US dollar as the single major reserve currency. The report states that the new reserve system should not be based on a single currency calling for a new reserve currency based on the Special Drawing Rights (SDR), managed by a new global reserve bank in order to create a more stable global financial system. Not only that, but both Russia and China have expressed a desire to see an independent currency replace the dollar as the worlds reserve currency and the Chinese in particular are challenging the US on that very idea as they too, want to export their currency to avert a massive inflationary bubble that’s waiting to implode there. To that end on November 30, 2015, the Chinese yuan (RMB) officially became a part of the IMF’s SDR currency basket. This now makes the Chinese RMB a third placed reserve currency behind the Euro and the US dollar. Also China, Russia, India, Iran, Turkey, Brazil, Venezuela and other oil-producing countries have recently agreed “to transact all of their mutual trade and investment in their own currencies” effectively minimising, at least in the short term, the need to use the US dollar. The Global financial crisis is really about central banks across the world recklessly printing money. It’s a giant race to the bottom. Every paper currency in the world is now rapidly devaluing and approaching its intrinsic value, of zero. Countries that cannot export their currencies are getting hit the hardest and first. It’s only a matter of time before the rest of the worlds currencies suffer the same fate. Governments around the world have been mismanaging their economies for decades and putting the financial security of their citizens in grave danger. Your Government is not looking after your interests, instead they are all self-serving, at your expense and your future security is in eminent danger. People are waking up to this fact and are looking to take back control of their financial affairs and their privacy. Some are wanting to put their future security back into their own hands and not rely upon the whims of ‘self-serving’ politicians and out of control governments, bent on destroying the economy, hence the attraction of Bitcoin as an alternative to traditional money. We’re on the cusp of another paradigm shift in the international financial system with the advent of cryptocurrencies. The good news is that Bitcoin is a decentralised currency. There isn’t a central bank or government in the world that can manipulate its supply or control its users. But it’s not just about using Bitcoin as a currency. 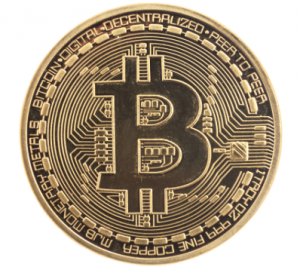 Bitcoin has certain rules, known as the Bitcoin protocol, which makes it work. The ingenious part of Bitcoin is the invention of the blockchain technology which could be the most important development since the invention of the internet. It’s going to be a game changer because it’s going to change the way business gets done, how documents are exchanged, how real estate is registered, bought and sold, how stocks and bonds are tracked, how inventory is managed and how people transact their private affairs. But Bitcoin is not the only one. There are now more than a 1000 other cryptocurrencies such as Ethereum, Litecoin and Ripple, just to name a few. But Bitcoin is the first cryptocurrency invented and remains the most sought after and over the years its value has risen tremendously from almost zero to over $8,000 per Bitcoin. Its transaction volume has exceeded 300,000 daily transactions. While it’s still a good time to invest in Cryptocurrency, because its still early days. Knowing where to start and how to invest in this new asset class could be an overwhelming and daunting task, if you don’t know what you are doing. 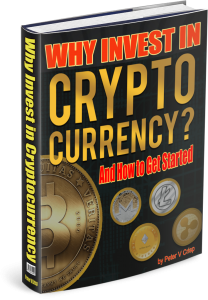 Which why its time to get educated about Cryptocurrencies and learn how you can invest and profit from them and the reason I have written an eBook “Why Invest in Cryptocurrency? 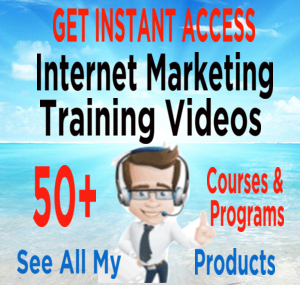 And How to Get Started” that you can access for free below. It’s designed for exchanging digital information securely using cryptography. It’s a new form of currency that’s going to change the world. It’s going to be far more valuable, than any paper currency. I’s supply is limited – There are only Twenty-One million Bitcoins. Bitcoin is the inventor of the blockchain technology. It’s going to get a whole lot bigger. In July, Japan made all digital currencies, including Bitcoin, exempt from its 8% consumption tax. Now there are over 260,000 outlets accepting bitcoin payments in Japan. Already in the US the number of merchants accepting Bitcoin exceeds 150,000 and they include big companies such as PayPal, Microsoft, and Dell. If you enjoyed this article “What is a Bitcoin” please feel free to socially share or leave a comment below. 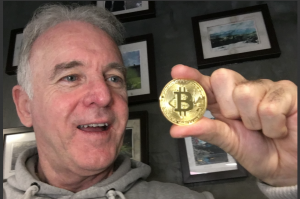 And if you do I will reward you with a free copy of my book; “Why Invest in Cryptocurrency? And How to Get Started” packed with a lot more detail and information that will get you very excited about the future of cryptocurrencies and shows you how to start investing. Accept my bribe and socially share and leave a comment below. – Thanks! That’s an incredibly interesting article and impressively thorough. I guess my question is when I buy bitcoin and send money, where is that money? Am I essentially just buying stock in the bitcoin company and they give me a bit of money to move around? What happens if federal regulation starts outlawing cryptocurrencies since many of the things that you’re talking about (privacy, no regulation) go against many governmental ideals these days? Sorry about all the questions but it’s a very interesting topic. Thank you for the help! Hello, and thank you for your comments. I actually answer that question and others in my book Why Invest In Cryptocurrency? Which I am sending your way, so watch out for it in your inbox. 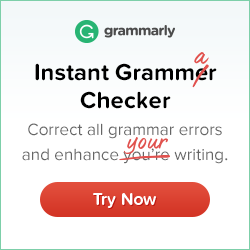 I would have to say without a doubt that your site is an authoratative site. Very impressive history of economics and the back story of bitcoin. I am very attracted to the privacy point of bitcoin staying out of government eyes. This is the first time i’ve heard of the petrodollar. I would love to hear your thoughts on what the US will do if China decides to collect on its loan to us. I do wish I knew about this when it first started. I would have been more financially secure today. When did you first discover bitcoin? What an amazingly informative article!! I have been reading more about Bitcoin but I never really knew that much about it. You really did an awesome job at explaining about the US dollar and why the need for cryptocurrency is so important now. There is a documentary on Netflix that I want to watch as well, have you seen it? I haven’t invested any money in Bitcoin yet but I have downloaded the app Coinbase where you can purchase Bitcoin and a few other cryptos. What I don’t understand is, how can you purchase only a small amount of it and not a full Bitcoin? Would I just be investing in a portion of it if I bought $100 worth? Hello, Nicki V. Thanks for your comments. Yes, you can buy a fraction of a Bitcoin.You can buy a portion of a coin 0.0000001 for example. 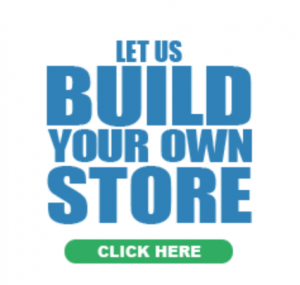 So few hundreds can get you started very easily. 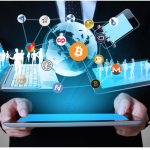 Watch out for the eBook Why Invest in Cryptocurrencies? that is coming your way as personal thank you for leaving a comment. Cheers Peter. Hi Peter, Thanks again for this guide about Bitcoin. 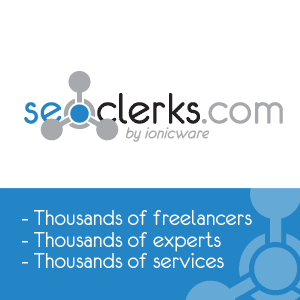 I have always found your site very informative and hence love to visit anytime I need to find out something around your niche. Bitcoin is a trend now and due to that, I thought I had to do some research before deciding whether it is right that I jump on it as a bitcoin newbie. I think I have found great value reading about bitcoin from your site. Thanks very much. There is so much information in this post, it is overwhelming. Very well written and a history on bitcoins which are fairly new. The history lesson on Lyndon Johnson is something a lot of people should definitely read about. Also the crypto currency books would be fascinating to read and maybe invest in one or two. Hello, Bill. Pleased you have enjoyed the post. 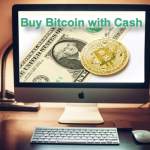 I do have a few others that you might also like.What is Bitcoin About and How To Buy Bitcoin and What is a Cryptocurrency Plus of the eBook that is coming your way. Why Invest in Cryptocurrency? Wow… You have provided me a lot of information about Bitcoin and I have bookmark this article for further reading. The content is full of information and is very useful for novice like me. It excites me about the potentiality of Bitcoin. 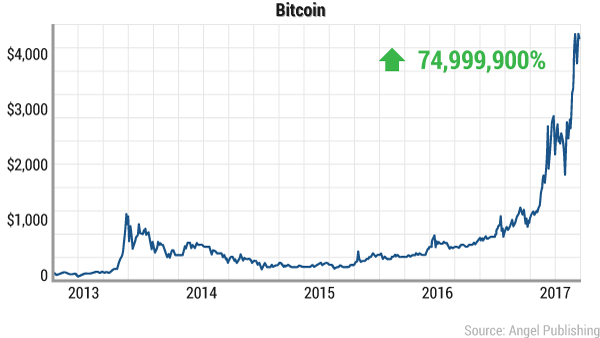 The value of Bitcoin jumped so much this year. I remembered 3 years ago, when I approached one company producing bitcoin machine in Singapore, at that times Bitcoin is still in infancy stage. This is exciting stage for many people to jump into this bitcoin arena. Thank you for very informative and detailed article. About six months ago got a job proposition from a different country and they supposed to pay me with cryptocurrency. I thought for a while and then refused, because I did not know much about bitcoins. Yes, I did some research, but still, I had no Idea how to use bitcoins in my daily life for routine purchases. I wish I could read your article that time. It is unbelievable how the price went up. I have been interested in Bitcoin for the last few years now. You have well explained what this bitcoin business is all about. I have a greater insight on what is happening economically around the world. This post also helped me understand why Gadaffi was murdered. He was a threat to the entire global economic system. I hope to participate in purchasing Bitcoin. I’m a little concerned with the limitation of bitcoin. It sounds like only some people will benefit from this digital currency. If I want to join in later from the sounds of it if its reached its capacity I wont be able to. Maybe I’ve misunderstood this. But that is how I’ve interpreted this. This financial masterstroke isn’t a myth it is definitely real and we all feel the effects of its massive destruction. I first heard of bitcoin back on TWiT, This Week In Tech podcast back in 2010 or 2011, I wish I would have taken the time to learn more about it then. I downloaded a mining program but never could figure it out. It’s still a little confusing. Cool informative post. Thanks for help explain it better. Great source if information! i will take your offer on that free copy of “why invest in Crypto Currency.” I have known very little of bitcoin but you literally broke it down very well and how we can use it to our advantage and looking forward to investing into it. Great post!! I had a chance to buy some bit coin currency in 2015 for around $500 each coin. Man I wish I would of taken advantage of that deal then. With bit-coin still rising in value at $9,000, I would be ecstatic today. Is it true that wants bitcoin hit’s a certain amount in existence. A cap will be placed on it’s mining. Supposedly this will happen around the year 2140. After that, miners will have to rely on transaction fees to stay financially operational. But isn’t that the beauty of bitcoin today? No middle men, no fees? It’s crazy to see such rise in price for bitcoin! I’ve been following bitcoin and other cryptocurrencies everyday for half a year now and I’m still getting surprised by certain “events” all the time. Bitcoin has a bright future and a lot of other cryptos as well. It’s still a great opportunity to invest because the price will only continue to rise!